Abstract. 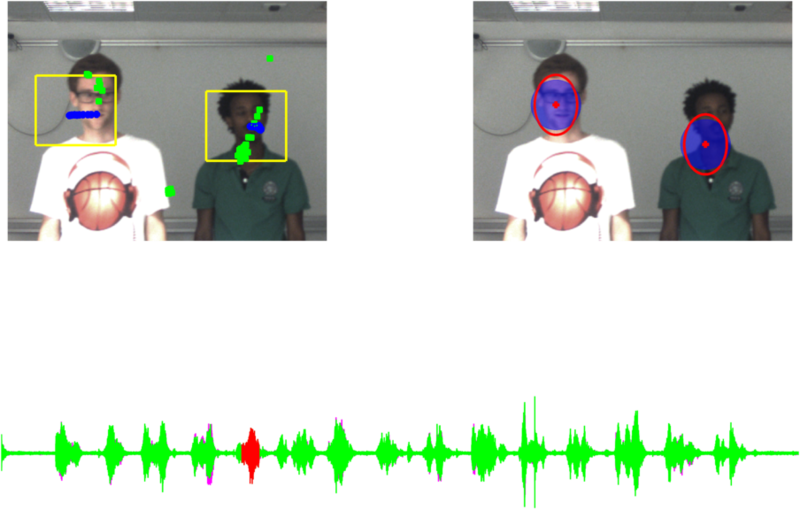 In this paper we address the problem of detecting and locating speakers using audiovisual data. We address this problem in the framework of clustering. We propose a novel weighted clustering method based on a finite mixture model which explores the idea of non-uniform weighting of observations. Weighted-data clustering techniques have already been proposed, but not in a generative setting as presented here. We introduce a weighted-data mixture model and we formally devise the associated EM procedure. 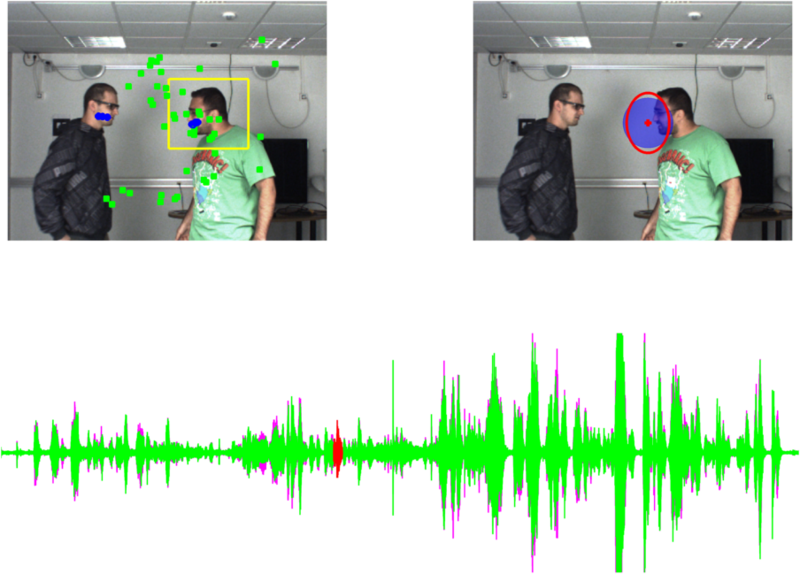 The clustering algorithm is applied to the problem of detecting and localizing a speaker over time using both visual and auditory observations gathered with a single camera and two microphones. 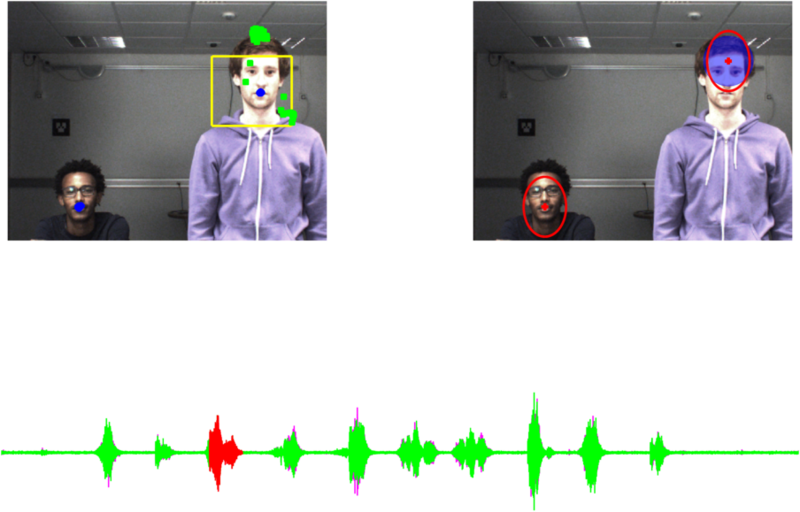 Audiovisual fusion is enforced by introducing a cross-modal weighting scheme. 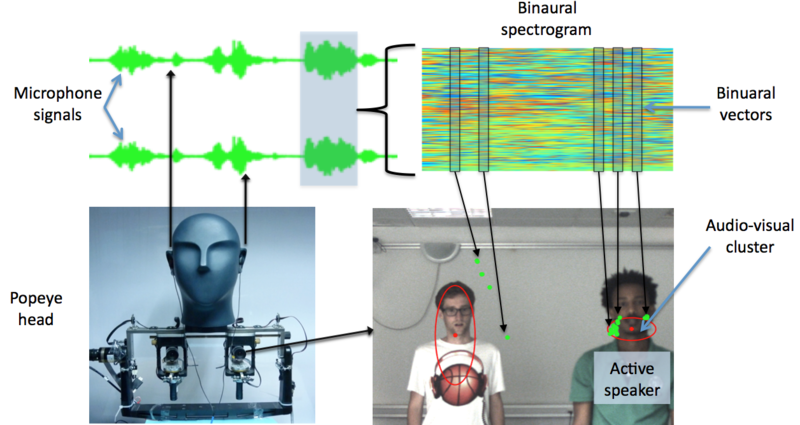 We test the robustness of the method with experiments in two challenging scenarios: disambiguate between an active and a non-active speaker, and associate a speech signal with a person. Matlab code to reproduce our result is available upon request.